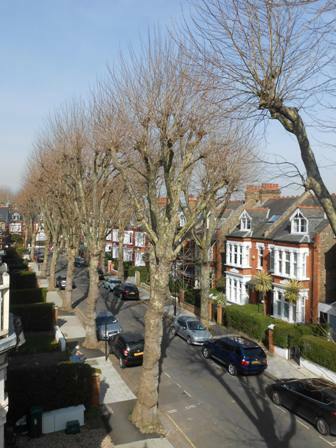 Recently we undertook a Full Building Survey in Chiswick, where the street scene was Edwardian high value houses. On the public footpath there was a row of large London Plane Trees, which were quite close to the houses. The house we surveyed did not display any signs of structural movement that was recent or ongoing but it was clear that some of these properties had been affected structurally by the proximity of these trees in the past. They appeared to have been pollarded by the Council in the last 10 years or so but were now starting to grow very large again. The houses are beginning to come “within the sphere of influence” again. Before buying a house an assessment of the size, proximity and danger to drains and foundations of Council owned trees should be undertaken as it can sometimes take a long time to get the Council to react to the danger. We always report on this type of danger in undertaking Full Building Surveys for Clients.